The world’s top carbon emitter has more than enough coal-fired power stations, yet it has another 205 gigawatt (GW) under construction and plans for an additional 405GW. According to the London-based Carbon Tracker Initiative (CTI), China had 895 GW in coal-fired power stations in July, which represent more than half its total power generation. 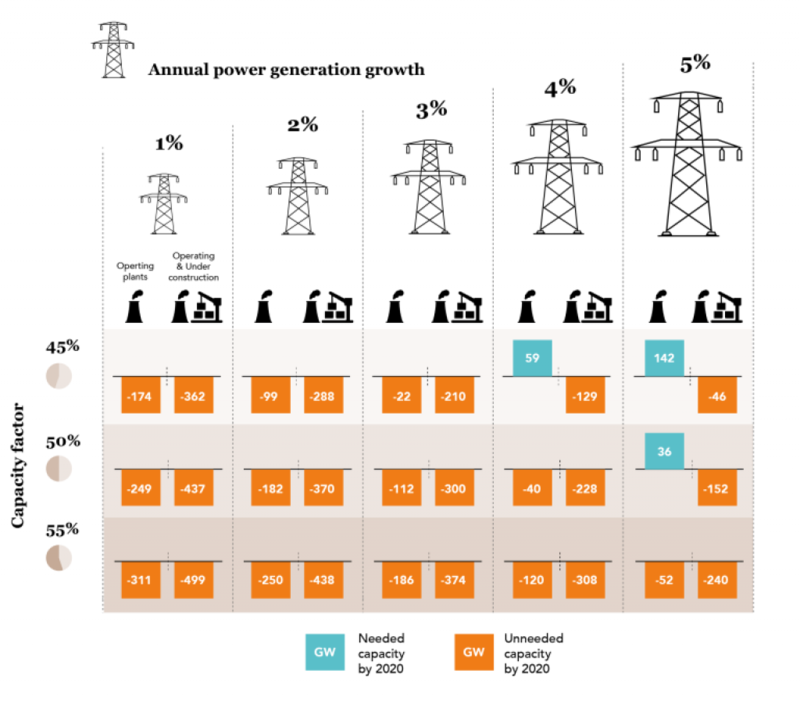 As the power demand growth has slowed from 10 per cent to three per cent or less per year, China now risks wasting as much as half a trillion dollars on new coal-fired power stations. At an estimated US$800 million per kW, China would have to shell out a total of $490 billion. Moreover, the country was operating the coal units at less than half their capacity. Stating that China has overinvested in fossil fuel capacity, the International Energy Agency (IEA) observed that most coal-fired power plants are sitting idle more than half the time. 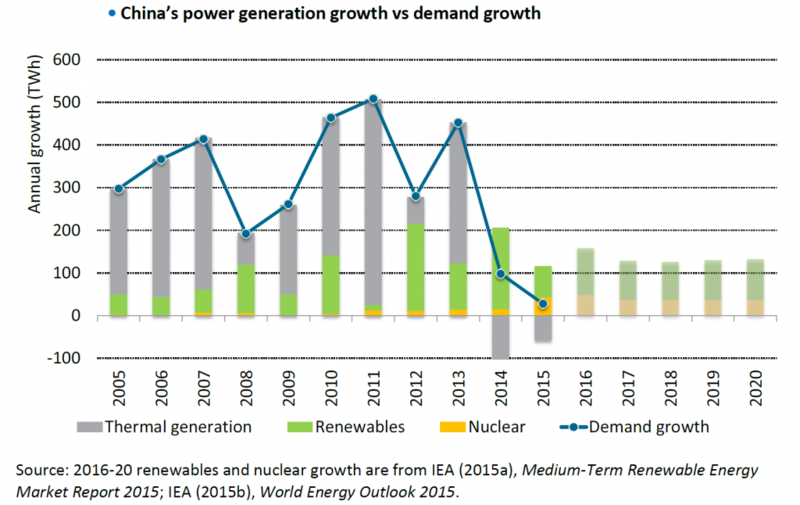 Although China had made some progress on expanding renewable energy infrastructure, it is still not enough to create a difference in the energy mix. Additional capacity beyond existing plants will be required by 2020 only if coal plants are run at a capacity of 45 per cent or less and power generation growth exceeds four per cent each year. Currently, this is not the case. If the power plants under construction are built and existing capacity are run at less than half its capacity, the country would end up producing 210 GW of surplus power that’s not needed in 2020. During his US visit in September 2015, Chinese President Xi Jinping had agreed to control public investment for overseas projects with high pollution and carbon emissions. The country made a commitment at the UN climate summit in Paris in 2015 to peak its greenhouse gas emissions by 2030. So, what explains this scramble for more such thermal plants? The government, it seems, is reluctant to cancel investments for coal-fired plants as it fears widespread unemployment, anger and unrest. Globally, coal supplies 29.7 per cent of energy use and is responsible for 44 per cent of global CO2 emissions, which, scientists say, cause a rise in earth’s temperature. 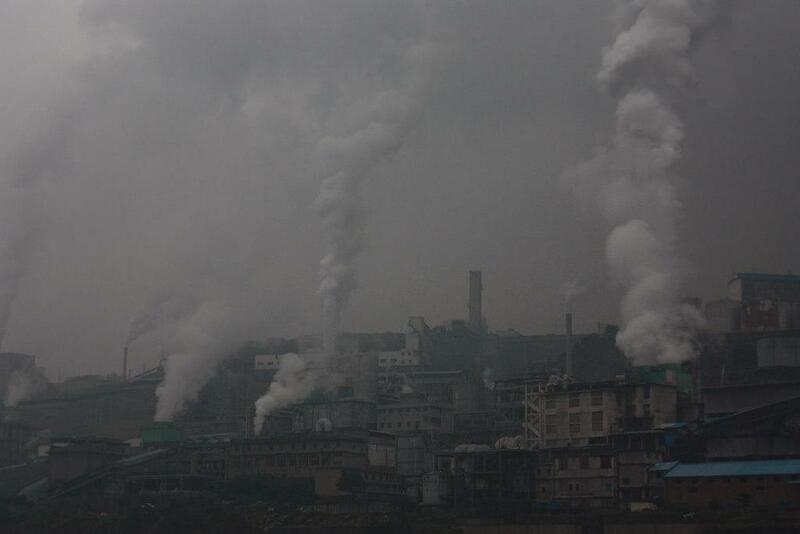 China accounts for almost 30 per cent of global carbon emissions. As of 2011, CO2 emission from the consumption of energy is 8715.31 million metric tonnes. The deteriorating air quality in China's smog-hit northern regions has been under scanner. Smog generally worsens in winter when coal-fired urban heating systems are activated in northern regions of the country. As one of the signatories to the Paris climate deal that aims at halting the rise in carbon emissions and keeping the increase in global temperatures below 2°C, China cannot afford to misallocate its fund on further enhancing fossil fuel capacity. Going by the CTI’s estimates, the 2°C carbon budget will be exhausted by 2040 even if no new coal plants are commissioned and existing units are shut down after they turn 40 years old. After 2040, coal-fired power plants are not allowed to emit carbon in order to remain consistent with the 2°C budget. This would open up the possibility of phasing out existing coal plants as they emit around 100 grams of carbon per kWh. China has to avoid building any new coal plants until 2032 and opt for a marginal increase in the utilisation of existing fleet.